A couple weeks ago I was talking with a manager about prefix searches. At the time I mentioned that I always take a quick look on the Internet to get a general idea on what to do. I did so and Tries came up as an initial candidate. I wrote a blog about it. I tend to be quite passionate with my work and computer science in general. I went and spent some time solving a challenge All Domains -> Data Structures- > Trie -> Contacts on HackerRank (https://www.hackerrank.com/challenges/contacts). In a nutshell the challenge calls for solutions using a Trie. After an hour or so I had a basic solution which passed the sample test. The issue was that the challenge has fourteen test cases. To help with ideas you can check for free the Discussions tab. For a fee (in hackos) you can purchase one of the tests. So far I have not purchase a test for any challenge. In my opinion that is how one learns. I decided to switch from Scanner to BufferedReader in hopes that the timeouts on some cases where due to the input throughput. Instead of replacing the Scanner I just commented out. I believe that addressed one or two cases at most. As you can tell, there is a new field (count) in the Trie class. Disregard it for the moment. The implementation took care of nine out of fourteen cases. I only had five to clear to complete the challenge (easy said than done). I spent a couple more hours looking for ways to simplify the code. No joy. I decided to read comments one more time to get inspired. The issue seemed to be related not to the insertion but the lookup (find) operation. I tested loading a full English dictionary and all appeared to work well. 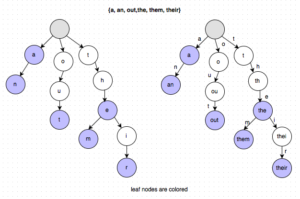 The find required to look for end (leaf) nodes starting at some node in the tree. If we could just add a field to count the leaf nodes when inserting, the lookups could be reduced to O(1). Go back and look at the definition of the TrieNode and the insertWord() method. The count field accomplishes exactly what is needed. The code passed all fourteen test cases. 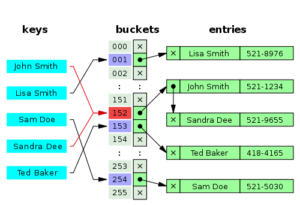 The countContacts() method is no longer used. At this time, I was sure to be done experimenting with Tries. I did find a different approach which will be in the next blog entry. If you have comments or questions, please do not hesitate to contact me.